AzhwAr says in this pAsuram that we cannot but carry out all kainkaryams (services) to emperumAn as said by lakshmaNa in SrI rAmAyaNam yudhdha kANdam 31-25 “aham sarvam karishyAmi” (I will carry out all kainkaryams), if we think about all the deeds carried out by emperumAn for our sake. Ar idar paduvAr – who will experience sorrows? idar Ar paduvAr – who is capable of bearing the sorrow of separation from emperumAn? Just as looking for people who are hungry when food is available, AzhwAr is asking who will suffer in separation from emperumAn when he is available. ezhu nenjE – Oh my intelligent heart! Rise immediately and set forth. If sorrows come our way, they [the sorrows] will suffer the same consequence that the crocodile suffered. vEzham thodar vAn kodu mudhalai sUzhndha – the crocodile followed the elephant; it thought that it was very powerful; emperumAn killed that crocodile which did not have any mercy in its heart and hence was cruel. padam udaiya pai nAgap paLLiyAn pAdhamE kai thozhudhum – let us worship the divine feet of emperumAn who has the characteristic of having given his divine form to thiruvananthAzhwAn (AdhiSEshan), who in turn is extremely happy since he is with emperumAn and due to which he has spread his hoods fully. Since both killing of crocodile and offering himself to thiruvanthAzhwAn have been mentioned, this verse clarifies the way emperumAn conducts himself in matters relating to his enemies and his followers. It says that emperumAn will remove our enemies and make us servitors similar to thiruvanthAzhwAn. With what will the service be carried out? 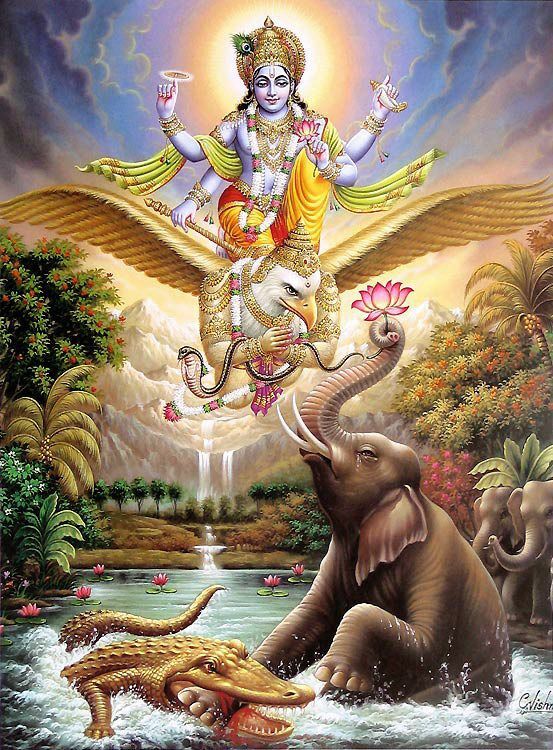 koynnAgap pUm pOdhu koNdu – worship with the sweet flowers plucked from (pun)nAga tree. One need not look for an exalted flower like nAgappU. AzhwAr says that any flower from the forest is sufficient to worship him. nanjIyar (disciple of parAsara bhattar and AchArya of nampiLLai (one of the commentators for this prabandham)) would say mercifully “since this AzhwAr was spending lot of time in the forest, he would have known about the flowers in the forest too”. In an earlier time, he showered mercy on gajEndhra AzhwAn (the elephant gajEndhra) who wanted to offer him flowers, by removing his hurdle and making him his servitor. He will remove our hurdles too if we offer him flowers and worship him. We shall move on to the 79th pAsuram next. This entry was posted in thiruvAimozhi, thiruvAimozhi 5th centum on August 27, 2017 by T N Krishnan.